The owners of "The Accommodation" were the Paige family. They lived at 61 Pleasant Street, which my partner and I now own. When we were renovating we found wooden boxes from the Paige Brothers used as sheathing. The home was in the Paige family right up to 2000. Yes, of all those who ran a version of "The Accommodation" over the years, the Paige Brothers definitely remain the most memorable. 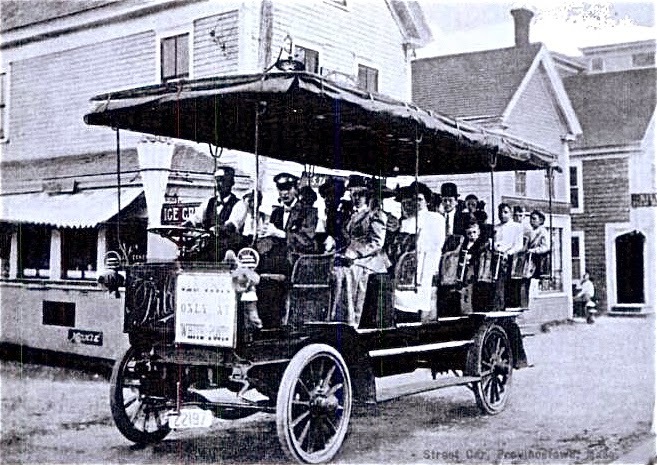 They started their transportation business in 1912, and in 1915, when they bought three motorbuses, they put competing horse-drawn services out of business. By the late 1930s two of their buses were still operating, despite the growing number of vehicles, and their proud owners, cruising along Commercial Street by then. I'll bet you found a lot of interesting things during your renovation of the Paige house. Thanks for sharing this bit of PTown history with us, and thank you for reading my blog!